It’s no secret that Clayton is home to a smorgasbord of delicious restaurants and eateries. Today, we’re going to take you on a virtual tour of some of our absolute favorites. Have a favorite Clayton restaurant we haven’t tried? Please let us know in the comments! We’re always on the hunt for new dining options in our favorite community. A Clayton staple, Mannings is the place for good old-fashioned Southern food—with a twist! Enjoy rooftop dining on their gorgeous patio area as you dine on innovative dishes prepared with love. Soups, salads, seafood, there’s something for every palate at Mannings! 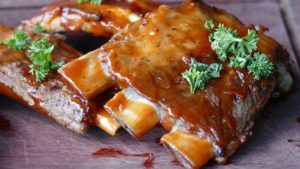 While you’re here, you have to try the baby back ribs—they are fall-off-the-bone tender and incredibly seasoned with a special rub created by Chef Manning. The crab cakes are also to die for, and they’re served with a side of classic fried green tomatoes. Looking for a dish with a little more of a kick? The chicken and sausage gumbo, prepared with white rice and Cajun dusted sautéed shrimp, will knock your socks off! 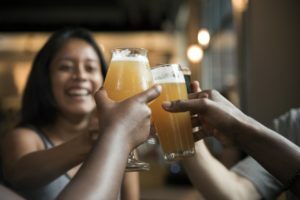 A wonderful weekend haunt is the First Street Tavern. Come for the live music and libations, stay for the delicious flatbreads and wraps. The pear gorgonzola flatbread is absolutely mouthwatering, as is the turkey avocado and bacon wrap. Another treat is gathering with friends to play board games and enjoy one of their tantalizing slow-cooked dips. I highly recommend crab queso dip or the beer cheese dip. You won’t be disappointed! Plus, who can forget the rotating taps of expertly crafted local brews? Stop in for a new taste every week! There are few moments in life that can’t be improved by pizza. At least, not when you have Ray’s Pizza just a quick drive away on NC Highway 42 West. Offering salads, wings, hot sandwiches, Stromboli, and delicious pizza, you can’t go wrong with a visit to Ray’s. The Philly cheese steak is a game changer, and the hot wings are available in a plethora of different flavors like medium, siracha garlic, garlic parmesan, and caribbean jerk. 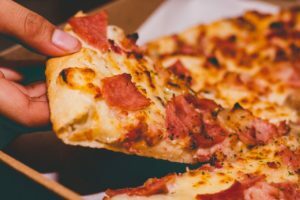 Their specialty pizza menu is seemingly endless, and includes tasty options like chicken alfredo, eggplant florentine, chicken cordon bleu, balsamic steak, and Greek. 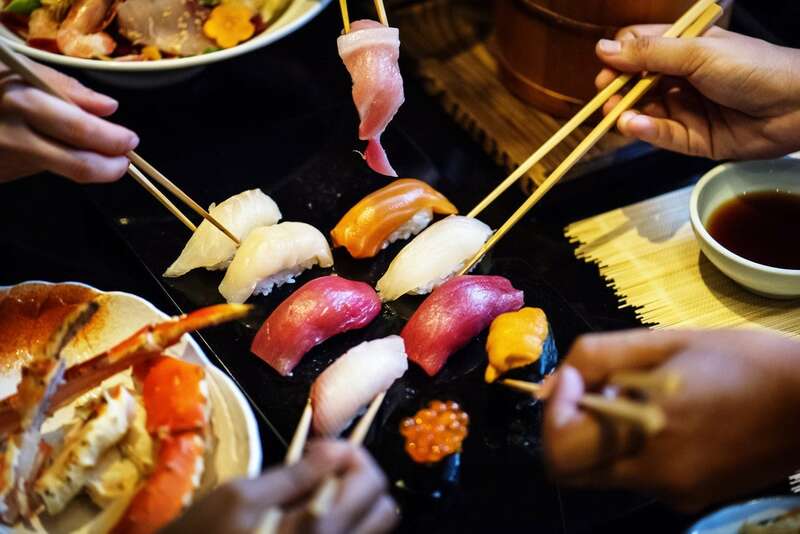 For fancy sit-down or takeaway, Sushi Iwa on 70 cannot be beaten. The service is top-notch and the rolls are incredible. You’ll never leave disappointed if you try the payday roll, which comes with shrimp tempura, cream cheese, shrimp, crab stick, orange caviar, and spicy mayonnaise. The dynamite roll is also a winner, as it comes with yellowtail, spicy tuna, salmon, red snapper, white tuna, green onion, orange caviar, and spicy mayo. In addition to sushi, they also serve pho, noodle soups, hibachi, and delicious appetizers. Ready to Indulge in the Clayton Lifestyle? You’ve come to the right place. If you’re in search of the perfect Clayton community to call home, then we highly recommend visiting The Walk at East Village. We would love to take you on a tour of the beautiful move-in ready homes available, as well as the different floorplan options. Give us a call today to begin exploring your real estate options in Clayton.